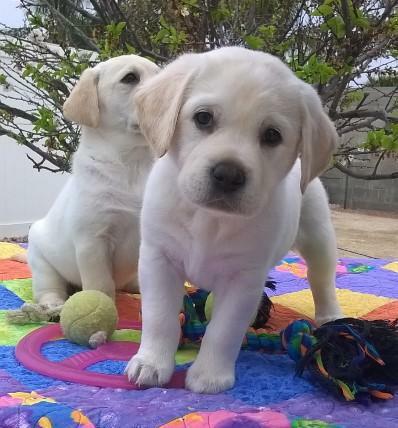 Gorgeous, white Labrador puppies, 15 ~ boys and girls ~Grace Russo in La Mesa, Ca. 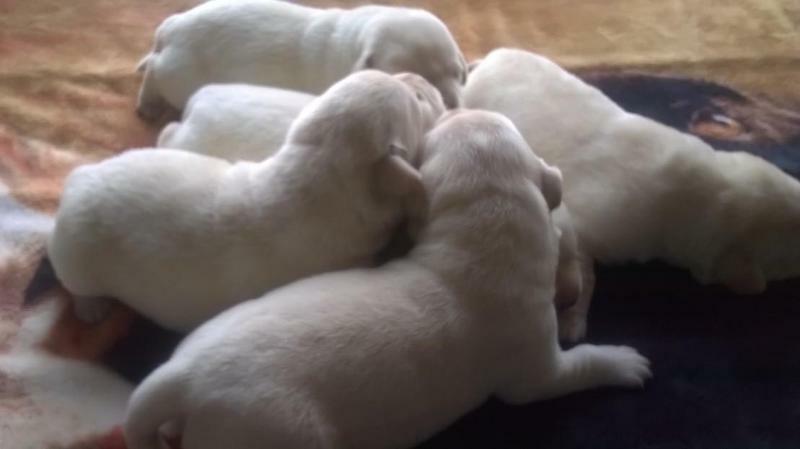 These puppies are from our, Yoder Labradors' male, Thunder Bolt and Grace's girl Tessa. or to send in a deposit. 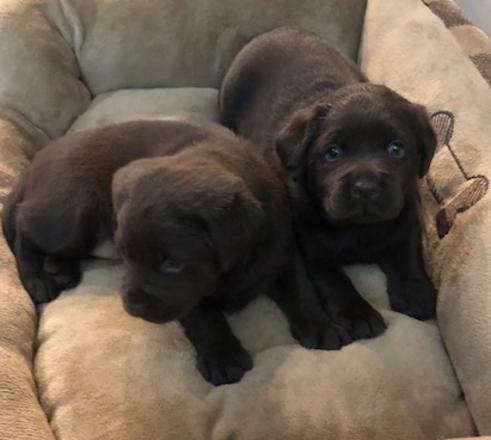 Four boys only, don't wait. 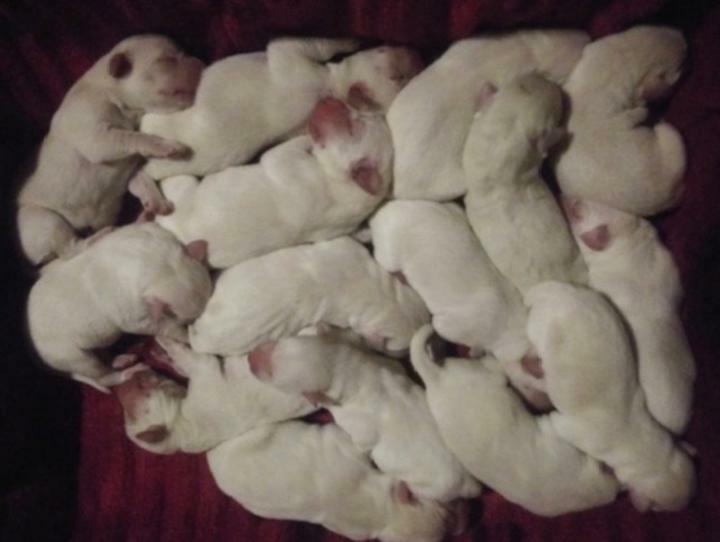 ​These pups are in the Lake Elsinore area. 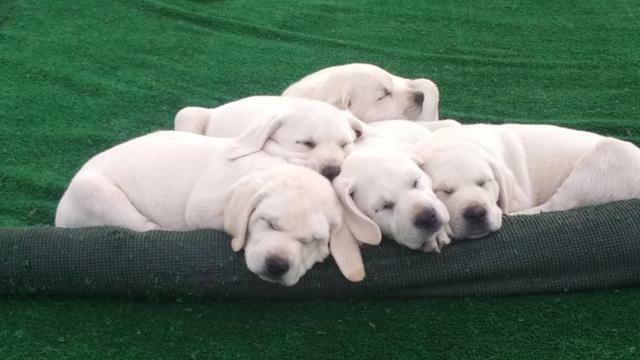 These pups are from Yoder Labradors' Thunder Bolt also.